15th July: I pop onto Amazon. 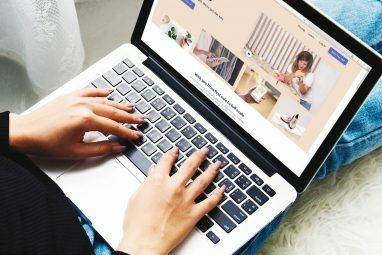 I’m immediately assaulted by a barrage of images all relishing in their own glory: it’s Amazon Prime Day, a time to celebrate the online shop’s 20-year history. 16th July: peace has been restored. Amazon greets us with a normal homepage. But this Prime-inspired madness has been confirmed as a regular event. Is it worth all the fuss? What’s the logic? Who actually benefits? Is it win-win for Amazon and the consumer? 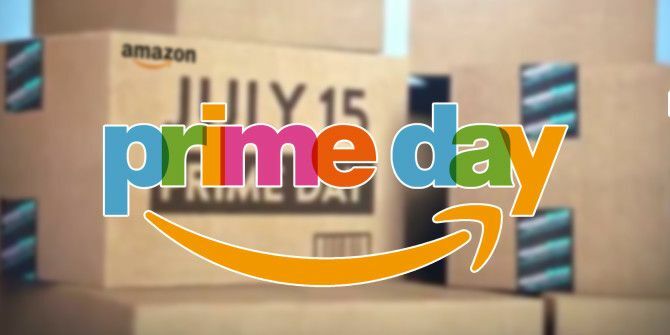 Boasting more deals than Black Friday, the busiest online shopping day of the year, Prime Day appears to be Amazon giving itself a pat on the back, nothing more than a glorified flash sale. It’s also greater than the claim that it’s a further incentive for Prime members Is Amazon Prime A Good Deal? Is Amazon Prime A Good Deal? Amazon Prime seems like a great deal, but is it? We dig into the benefits to figure out if they're worth the $99 per year. Read More , those who spend $99/£79 a year to get expedited delivery and offers on TV streaming. The cynical will call it the latest guff, fresh off the publicity machine. At best, they’d call it an indulgence. At worst, it’s a hollow cash-grab; the same marketing principle that spawned Love Day in The Simpsons. Summer is considered “downtime” for Amazon. There are no big events coming up; people are saving up money to spend on holidays so they won’t buy frivolities; and sales are at their lowest of the year. Sales are nowhere near as high as last year’s Black Friday, when Amazon smashed records and sold 64 items per second. Now is the ideal time for a big event: something to get publicity, draw people away from the sun, and back in front of their computer screens. Just like Black Friday, a set number of certain items were available at discounted prices in a small time period. Generally, different deals are offered depending on if you use the American, UK, Indian, or Australian site. Given the hype, you’d be forgiven for thinking there would be big savings on everything, bar third-party stock and self-published books. Naturally, this wasn’t the case. Instead, it was a mix of Big Name items, niche eccentricities, and the occasional electronics. They might be seen as fads, but they nonetheless remain popular: such franchise items included Doctor Who, The Walking Dead, Game of Thrones, and The Avengers (especially Age of Ultron tie-ins). Most of these sold steadily, but few seemed to quickly reach their limits. There were, of course, exceptions: a Jurassic World t-shirt went in under 10 minutes. Amazon has done well to allocate the right time slots: popular ones were given around an hour and a half to sell, while less talked-about items were given up to 4 hours to sell themselves. This meant that seeing “100% claimed” was a regular occurrence. Sliders drew the eye to items you’ve never considered before and may never consider again – but look, it’s 30% off. This should come as no surprise. This is how a sale works, whether it’s online or in an actual store. Men’s travel socks at around $10 didn’t set the world alight. Many items were eye-catching because what was actually being sold was an accessory; once more, standard fare. A photo of an iPhone 5s or 6 Should You Choose The iPhone 5s Over The iPhone 6? Should You Choose The iPhone 5s Over The iPhone 6? 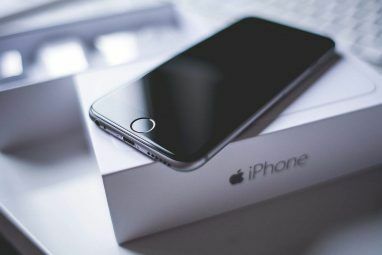 Before you go straight for the new iPhone 6 or even the 6 Plus, why not look into the iPhone 5s instead? That's what I did – and I couldn't be happier. Read More would be used to sell a phone case. Yet tech bargains were to be had. On Amazon.com: Norton Anti-Virus (5 devices) for $32.99; D-Link Wireless WiFi Surveillance Camera for $47.95; QuickBooks Pro Small Business Accounting Software 2015 for $148.99. On Amazon.co.uk: A 22″ LG HD TV for £95.99; an Olympus OM-D E-M5 Portrait Grip Kit camera for £566; and a Lenovo YOGA 13.3″ Convertible Touchscreen Notebook for £399. Amazon was especially pushing its own products. The Kindle Fire HD Your Unofficial Amazon Fire Tablet Manual Your Unofficial Amazon Fire Tablet Manual The Amazon Fire tablet is a great alternative to the basic E-Ink Kindle e-readers, while offering compelling new features more akin to a tablet. Its small size and flexibility makes it the top choice. Read More 7 was down to $99/£59 from $159/£119; the normal Kindle for $69/£39.99, from $99/£59.99; and the Fire TV Stick from $39/£35 to $24/£19. All these sold out on Amazon.com within 14 hours of the deals going live. Was it Worthwhile for Customers? All those lightning deals saved you more money than usual, but many products could be found cheaper on the high street. I compared a number of items found at cheaper rates on Prime Day to actual stores in my town center, and found a few that weren’t much of a bargain on Amazon. A set of 23 Sharpies, for example, dropped to £14; the same set was available from a nationwide stationary chain for £9.99. A popular book store sold the full set of Game of Thrones novels at £25, the same as Amazon’s discounted rate (since increased to £32.50). That same store offered a set of 10 Captain Underpants books for just £10 – while Amazon’s best deal was £24.99. That wasn’t the case for everything, but certainly some deals weren’t as great as Amazon would have you believe. It’s still a further reward for Prime members, and an incentive to join. 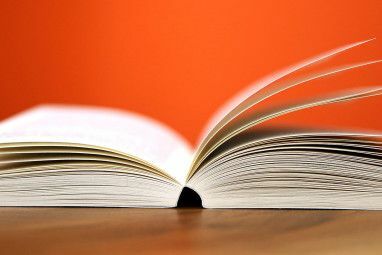 Benefits of Prime are numerous: one-day or two-day delivery (same-day for some areas); also TV and music streaming – Amazon famously saved Ripper Street from the axe – and the Kindle library Kindle Unlimited -- Is It Really Worth It? Kindle Unlimited -- Is It Really Worth It? Amazon's rumored "Netflix for books" service is finally here: Kindle Unlimited. In theory, it sounds fantastic. But is it all that it is hyped up to be? Read More . There are even hidden Amazon Prime features 10 Awesome Amazon Prime Benefits You May Have Overlooked 10 Awesome Amazon Prime Benefits You May Have Overlooked Free two-day shipping is just the beginning. Here are some notable Amazon Prime subscription benefits you may not know about. Read More you might not yet be using. Annoyingly, Amazon will only let you have your one-month’s free trial once, meaning anyone who’s had Prime in the past can’t see what the service is like nowadays without paying full rates. This upset a few hoping to make use of the trial on Prime Day. The online giant messed up orders on Black Friday 2014, taking longer than expected to deliver to Prime customers. The latest event was billed as even bigger than that. So, it would come as no surprise that further delays would occur. Not so – at least in my case. I got a dispatch notice within four hours of my initial morning order, and received my items on 16th July. Evening orders came on the following day. Non-sale item orders were also just as fast. “Amazon says everyone who signs up to Prime gets sent an email informing them of the duration of the free trial, how to avoid continuing to paid Prime membership, and how to cancel the paid membership if someone took it out without a trial. Considering the price of Prime went up this year, this puts further question if it’s a good deal for consumers. Conversely, Prime’s unlimited delivery – its main selling point – is a cause for worry, mainly due to “overusers” – the same people who make the service so popular. Their over-reliance on speedy postage and secular orders hamper Amazon’s profits from Prime. Amazon wants greater dominance, and an annual Prime Day almost guarantees loyalty and, indeed, publicity – on the TV, on websites, on social media. Prime Day worked in that respect: more people signed up for the free trial period than on any other single day in history. Customer satisfaction wasn’t especially high, yet it’s fair to say the majority of Prime members ordered at least one item. How can we cage that shopping beast when faced with next year’s effort – or when other shops do similar (an “atomic sale“, indeed)? Keep a note of items you want, and don’t deviate. Don’t compromise: if you’ve had your eye on something for weeks, don’t plump for a similar product instead, just because it’s 30% off. Shop in stores too. Discounts aren’t exclusive to online. Track prices. Is it actually a good deal? Various price trackers 3 Best Amazon Price Watch Trackers For The Bargain Hunter 3 Best Amazon Price Watch Trackers For The Bargain Hunter Read More can help with that, including this Chrome extension Shop Smart And Save Money - Check The Price History For Any Product With Camelizer [Chrome] Shop Smart And Save Money - Check The Price History For Any Product With Camelizer [Chrome] Don't pay more for a product just because of poor timing — see a history of price fluctuations before you buy anything. Camelizer is an extension for Google Chrome that shows you a chart of... Read More . If you spot a “fad” item you’re interested in, imagine you didn’t buy it. Assess whether you’d actually regret that decision — and if you’d pay regular price for it. What did you make of Prime Day? Over-hyped? Or exactly what you expected? Explore more about: Amazon Prime, Online Shopping, Save Money. I checked out the deals for Prime Day. Most of the prices weren't very good. Better off sticking to Black Friday month deals. Why does Amazon not show a profit? Two reasons. 1. Profits are taxed. If you can find ways to just about break even (Hollywood studios are past masters at this), your tax burden is eased. 2. Amazon's still in its grow-and-extinguish-competition phase. They're massively reinvesting in infrastructure (see 1.) in order to provide a service no-one else can compete with at scale.